Hide Online is one of the best addicting games for Android. 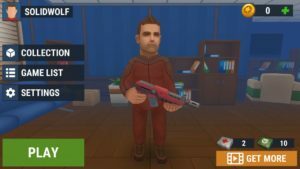 It has crossed over a million downloads on Google Play Store and the reason behind its popularity is its fun gameplay; the multiplayer gameplay in which you play as a hunter or props. The objective of a hunter is to find and destroy all the props. Your health is limited. Your health points reduce when you shoot on wrong objects. If it’s a prop, then you will see the emoji and its health bar. By default auto-aim and auto-fire are turned on, you can change it under the settings. You will get the rank or earn score points on the basis of your performance in the match. 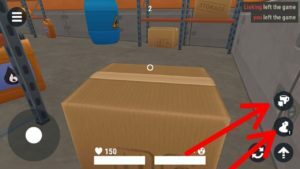 If you play as props; box, chair, burger, can, pot, or more, then your objective is to hide until the end. Hunter Controls; At the bottom-left of the screen, use the joystick to move your character, at the bottom-right of the screen, combat controls; fire, grenade. At the bottom-center, you can see your health points and number of bullets. Props Controls; Use the joystick to move up/down/left, use the jump button to jump. To change the object(to change from burger to can, from chair to helmet, from box to helmet), just point to that object and tap on the cup button(at the bottom-right). If the hunter finds you, then you can use the “transform” feature. Tap on the duck button(at the bottom-right) and that’s it. This feature transforms the hunter into an animal and he will not be able to move for a few seconds. Use this time and run away; don’t forget to switch to another object. If you are playing as props, then switch to a small item; burger or can as fast as you can. Because, as a hunter, it’s difficult to target the small objects. On the other hand, if your object is chair or bench or something big, then it would be easy for them to target you.